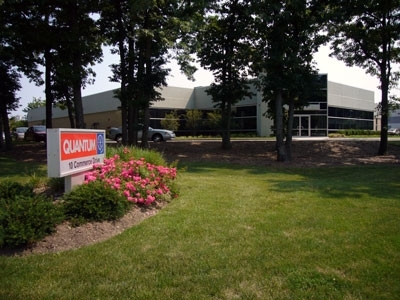 Welcome to Quantum Instruments Inc.
Quantum Instruments Inc. was founded in 1975 and entered the photo business in 1978. We design and manufacture photo equipment specifically for the professional and serious photographer. We are a company of about 75 consisting of electrical engineers, mechanical designers, manufacturing supervisors and assemblers, sales, marketing, quality control, customer support and IT people. Ninety nine percent of the products we sell are produced in our newly relocated plant in Hauppauge [hop-pog], Long Island, NY. We are fortunate that our experienced staff allows us to keep production in the U.S. under our own roof and control. This allows us to stay on top of trends in the photo market and to stay close to our customers with products that enhance productivity. We are always developing new products and enhancements to our existing products. Quantum's staff takes pride in the products and service we provide. We hope you find the information and resources on this web site useful, and you are welcome to contact us via email, fax, or phone for additional information you desire about Quantum products.